The first biography of the vagabond and hard-boiled writer who rocked Hollywood during the Roaring Twenties. 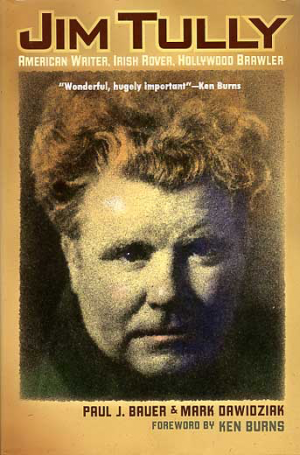 The son of an Irish ditch-digger, Jim Tully (1886-1947) left his hometown of St. Mary's, Ohio, in 1901, spending most of his teenage years in the company of hoboes. Drifting across the country as a "road kid," he spent those years scrambling into boxcars, sleeping in hobo jungles, avoiding railroad cops, begging meals from back doors, and haunting public libraries. After six years on the road, he jumped off a railroad car in Kent, Ohio, with wild aspirations of becoming a writer. Zenas Kent was an early settler of Portage County, an entrepreneur who established Kent‘s flour mill, a cotton mill, a tannery and various other business enterprises. The original proprietor of the Township was Aaron Olmsted, of Westfield, Mass. in 1798.